I have two more weeks to finish. I have more time but I am trying to finish everything before my family comes out for a visit. That is, the parts that I have control over. Finish all the edits, write the press release, make sure the banner has been sent to Overtone, send out all invitations, send files to Orms, set up interviews with the press etc etc. I saw Tim Burton’s ‘Big Fish’ again last night. Love, love, love that movie. Albert Finney and Jessica Lange. Wow. Love the colors, the imagination behind it, and who wouldn’t want an Edward Bloom day once a year where everything is just fabulous and magical? And I totally want someone who’ll climb into the bath with me when I’m old and sick. It’s funny eh how some images influence you or stay with you for a long time. 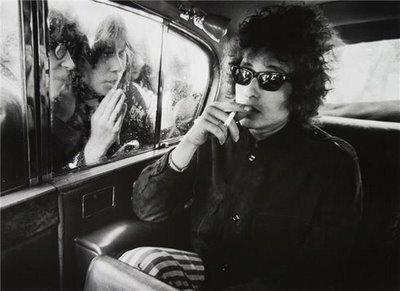 I think the photo below of Bob Dylan by Barry Feinstein is such an image. 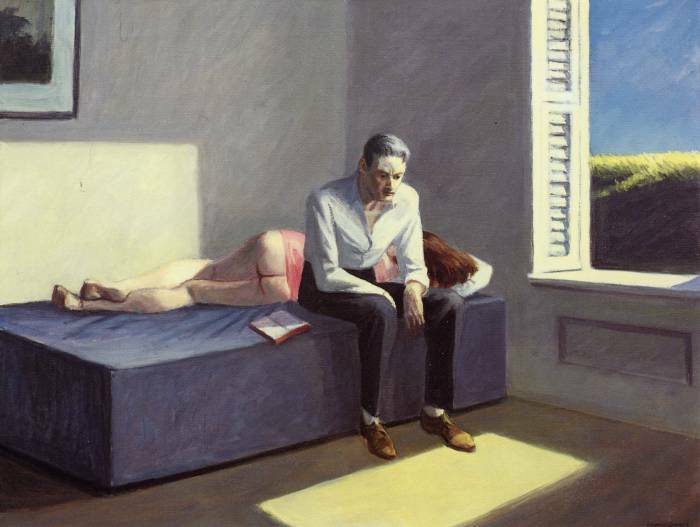 It’s such a fantastic image, so well composed, such awesome black&white tones and sums up feelings of isolation, adoration, estrangement, intrusion, boredom, ouside world vs inner world, trying to just do your thing… Or like the first image above, by Edward Hopper ‘Excursions in Philosophy’. He has such an awesome sense of composition and light, often using light as a way of showing revelation and casting long, symbolic shadows and depicting scenes of extreme loneliness, regret and maybe even estrangement within the American rural and urban landscape. I have a photo shoot with a young ADFA graduate trying to make it as a director this afternoon. Should be interesting:-) Will talk about it later. 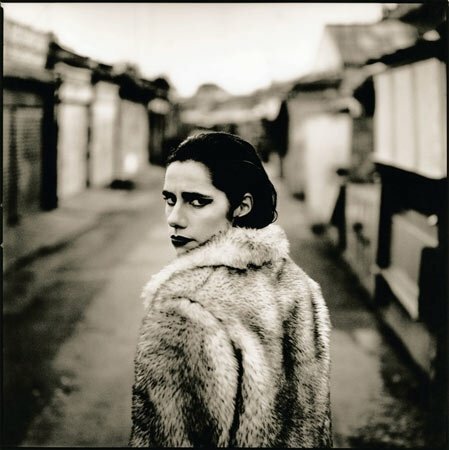 left: PJ Harvey by Anton Corbijn. 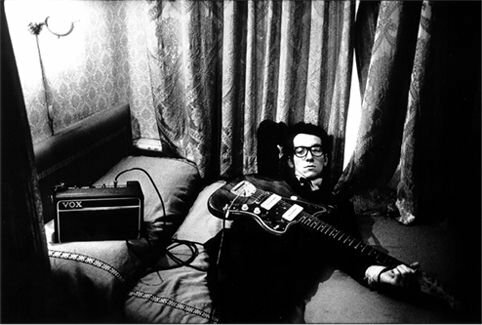 This entry was posted in music, photography, rambling, Swimming Upstream and tagged agnes obel, anton corbijn, blablabla, bob dylan, edward hopper, harry feinstein, mark ronson, orms, Overtone, pj harvey, rambing, Robert Capa, the sore losers. Bookmark the permalink. love the way you blog, BTW, with all your personal thoughts and music you’re listening to and images etc. thank you:-)) yes yes *must* watch Big Fish… it’s 7 years old already but i still loooove it! Thanks also for the proof-reading! And haha absolutely:-) I’d make a terrible air hostess!